As holiday time approaches there are trees to trim and parties to plan. 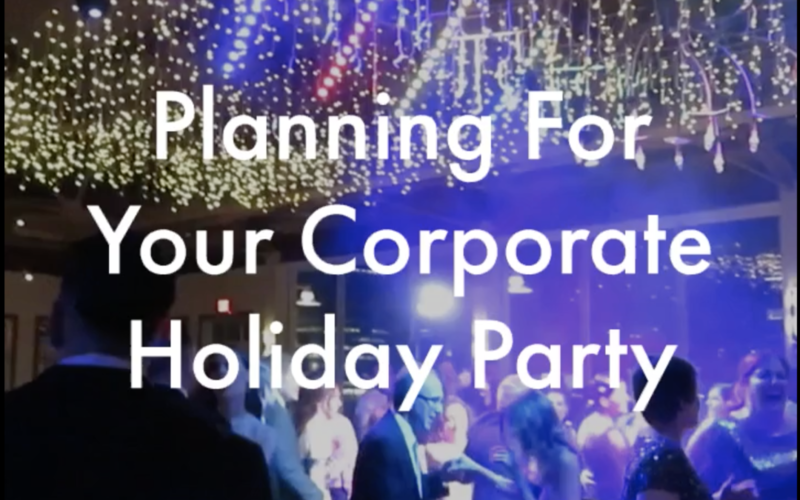 When it comes to putting together your corporate holiday party, we’ve put together some key tips and ideas to help ease the planning process and ensure you’ve got all aspects covered. Start with the who, what, where and when to help identify the key elements of your holiday party. These are the core elements such as theme, venue, date, time, how many guests, food and beverage, and agenda. All of these main factors will determine budget and the overall experience of your event for the guests. Put together a committee to help execute the various components of the holiday party. Having a small team of individuals executing on the plan can be more efficient and cost-effective. Having too many individuals involved in the process and making decisions can make it a drawn out and unproductive process. One of the most important aspects of corporate holiday party planning can be the venue so try to consider how you can get the biggest bang for your buck. One way is to consider a unique venue option, such as a gaming venue or theater, a flexible event space that can be transformed for your event. Add some inspiration and motivation to your event by recognizing employee achievements from the past year. This will of course require some advanced planning and time for management to consider nominations and to select winners. Celebrating your team and recognizing outstanding performance is a great addition to create excitement at the company holiday party. You can do a special “thank you” gift for all the attendees or you can offer some higher-priced items that are raffled off during the event. Big-tickets prizes can generate excitement and are a nice surprise for guests. Consider having vendors sponsor these raffle prizes as a way to include your vendor partners. Don’t forget to consider the ambiance and activities for your holiday party. You want to keep guests engaged and entertainment is a must-have for a quality party. When speakers are talking you’ll want music to pump up the atmosphere, especially if it’s during an awards portion of the event. 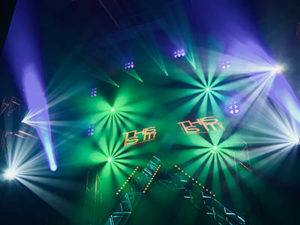 Live music, lighting and interaction is a great way to keep your party energized.